Seems it was being driven on public roads and a good Samaritan called the police. The car was recovered and the driver arrested. Obviously a great winter driver. 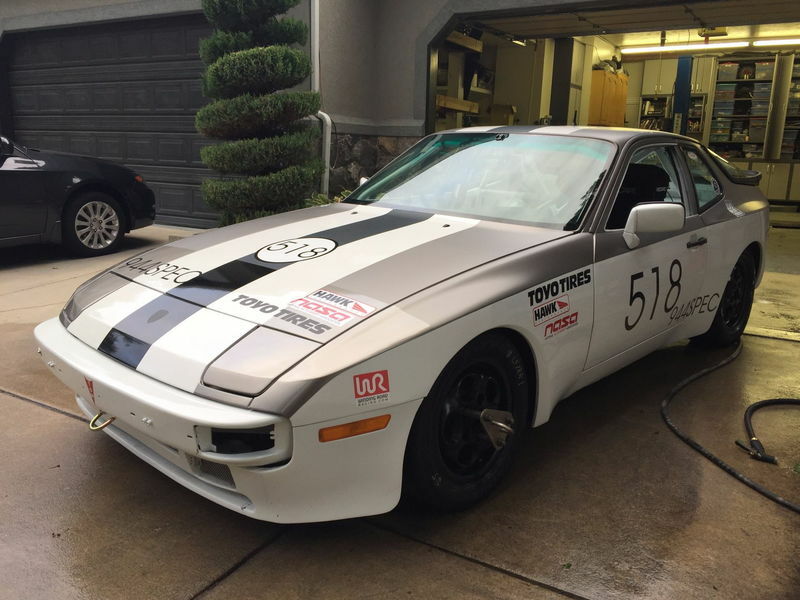 While out of town, my 944 was stolen from our trailer in North Salt Lake City and I'm asking for your help! Will you please spread the word however you can and keep an eye out for this car? Please forward, share, however you do what you do in your various social circles--please send this along! Car chassis has always been white. Last edited by MaxD; 01-30-2017 at 05:09 PM. Bastards! Hope you can recover and they get what's coming. Sadly I suspect its already in a chop shop getting cut into small pieces. This is really bizarre. 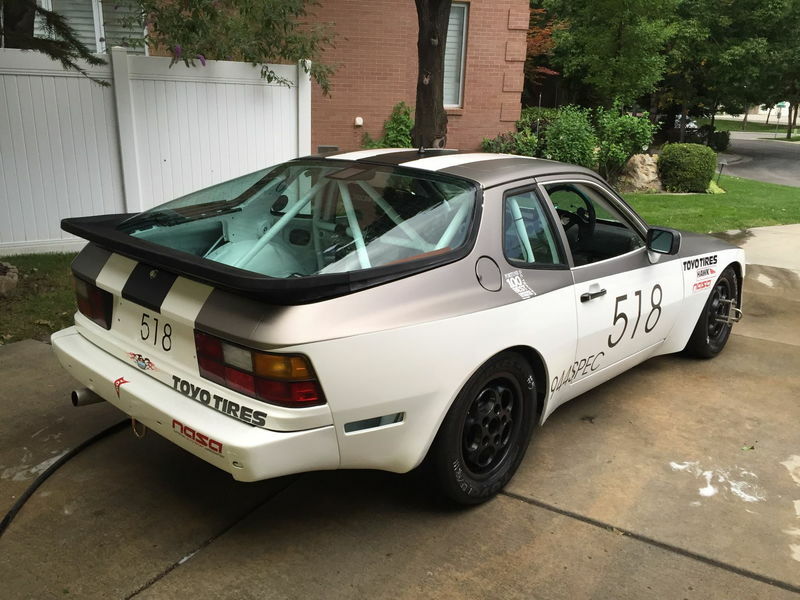 A spec 944 isn't worth much in pieces. It a spec car, meaning no "race" engine, etc. It also isn't rare, so it isn't like it would be shipped out the country. The value is as a race car, and I can't see how someone could pass it off as another car. Makes you wonder if someone took it for a joy ride, or had something specific that they wanted from it. I hope you get it back in good shape. Sorry to see this. The thieves don't know what a spec race car is. They probably think they have stolen a high power race car they can chop and sell. They stole my moped two days ago from a friend. They made it only 5 mins away before ditching it once they figured they couldn't start it. Glad to hear that he got it back! And as WorkInProgress said, thieves are dumb people. Thank God for dumb thieves! Saw that on my FB today! Fantastic! !